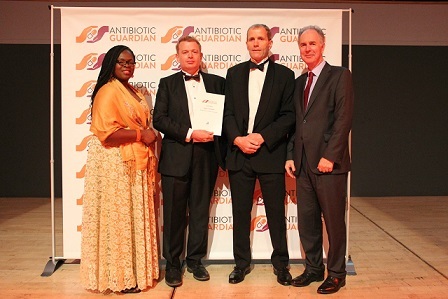 The Antibiotic Guardian Awards were introduced this year by Public Health England (PHE) and aim to champion UK organisations and individuals who have demonstrated achievement in tackling antimicrobial resistance at a local, regional or national level. They were held at Birmingham Town Hall on 12 May and BEVA was the only organisation from the veterinary profession to be included. BEVA first launched its Protect ME antimicrobial campaign in 2012 to coincide with European Antimicrobial Awareness day. The Association has launched additional resources each year to facilitate compliance and educate the public about the importance of antimicrobial awareness. The BEVA Protect ME toolkit is free to BEVA members and can be downloaded at www.beva.org.uk.